Education in the United States has a foundational public purpose: to prepare students for effective citizenship. Enter Democracy Prep Public Schools, a charter network whose mission is “to educate responsible citizens for success in the college of their choice and a life of active citizenship.” In a new article, researchers examine how the network is moving the needle on students' public participation. 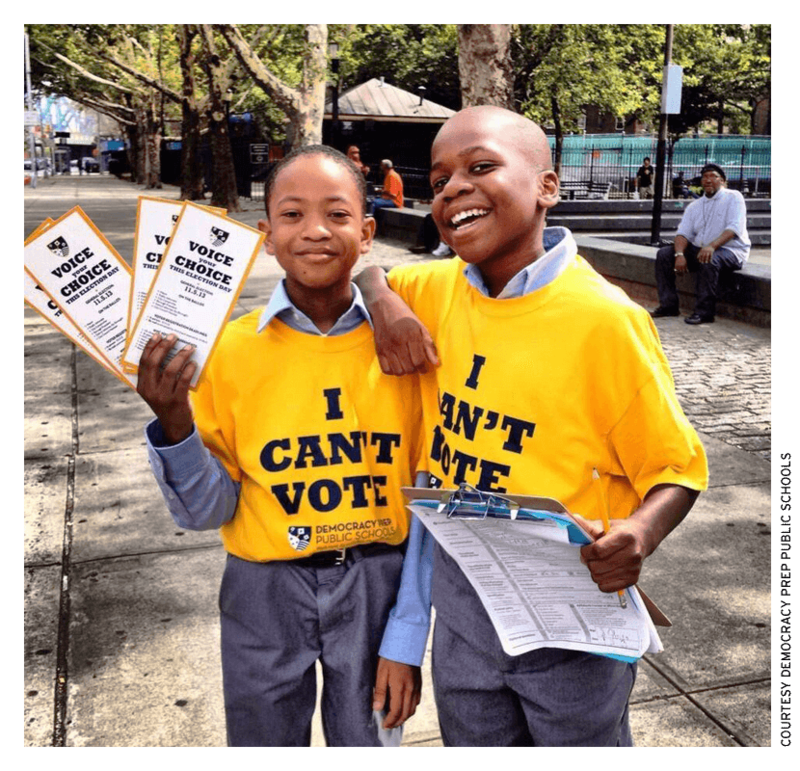 "A Life Lesson in Civics: How Democracy Prep charter schools boost student voting" is available now on educationnext.org and will appear in the Summer 2019 issue, available in print May 24, 2019.